We would have liked to have cruised across to Cowes the day before, but the 'Round the Island' Race had made Cowes the busiest place to be in the world and so we stood much more of a chance to getting an overnight berth if we cruised over later in the weekend when other boats would be vacating the marinas. 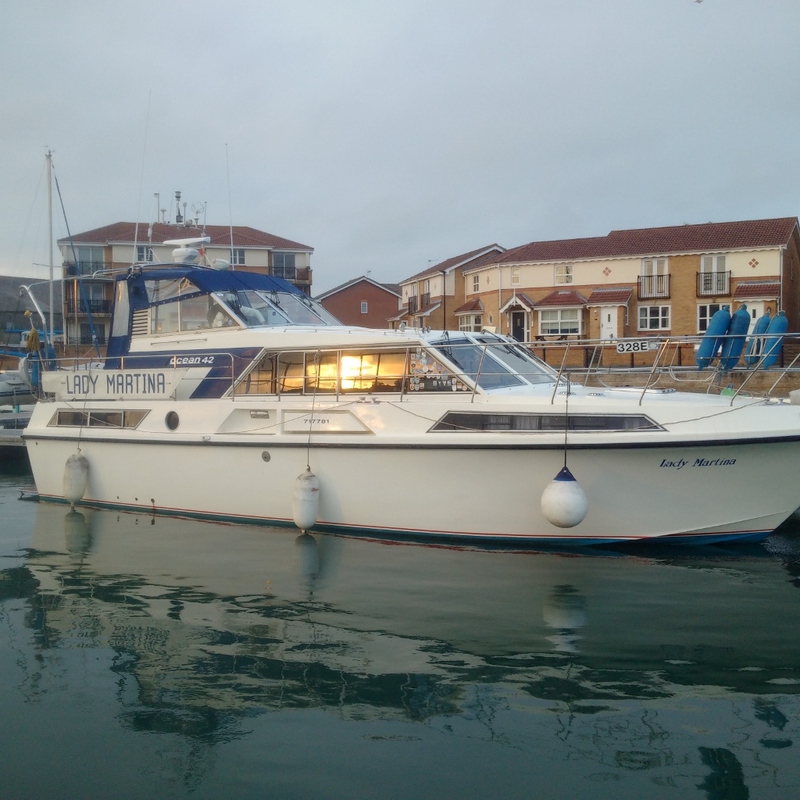 We had booked into Yarmouth for a shore-access pontoon a little later so as not to be similarly disappointed. Trip 1. A high water exit from Itchin marine and a short leg down Southampton water and round the Brambles sandbank with the jostling for position upon arrival being expected as the biggest navigational hazard on day one! 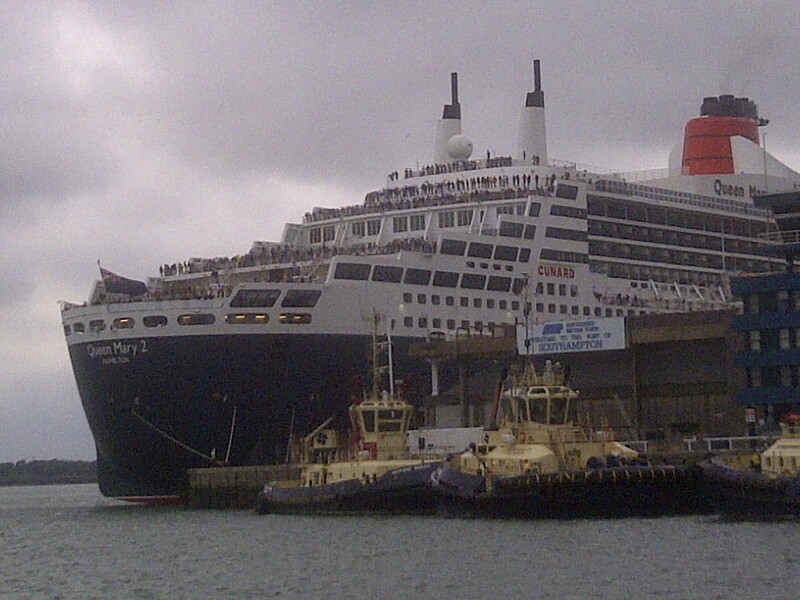 In the event, our departure from Southampton and arrival at Cowes corresponded with the Cunard flag ship The Queen Mary II closing fast from behind and we suffered the indignity of the Harbour Master's vessel racing over and forcing us out of the Precautionary Area! We seemed to be well clear by our estimation but we realised afterwards that there is a moving 1nm 'Moving Exclusion zone' ahead of vessels displaying a black cylinder when they exceed 150m in length in that channel regardless. 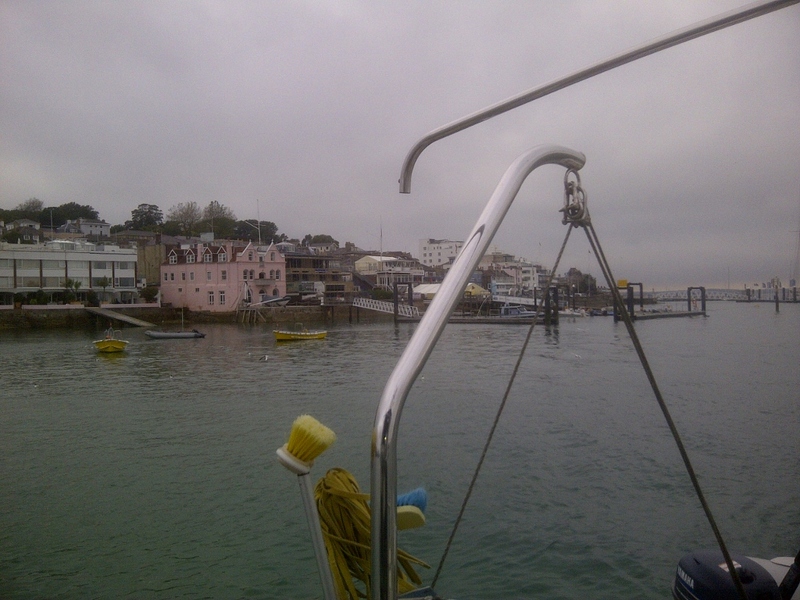 We made East Cowes easily and the marina was nigh empty and we took our pick of berths on Pontoon B(ravo). Trip 2 The trip from Cowes to Yarmouth (IOW) was judged to catch the following tides with an ESE breeze off of the land and following for once which was even better. At a slow speed of 8 knots, the 18nm could be achieved in less than two hours and at a cost of less than 30 litres of fuel! Selsey Bill to Lyme Regis: Southwest becoming variable later, 3 or 4, increasing 5 at times. Mainly slight. Occasional rain at first, fog patches later. Moderate or good, occasionally very poor later.